Being the leading European distributor of SatinWrap® tissue paper we can offer an outstanding range of coloured and patterned tissue papers in premium quality. It is quite simply the best on the market! 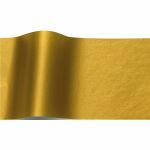 With 73 vibrant stock colours, more than 100 printed tissue designs, 17 pearlesence and metallic tissues and 18 waxed tissue colours, SatinWrap® is the most comprehensive range of coloured tissue paper available in the world today. 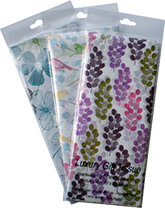 SatinWrap® tissue is both fade resistant and colourfast as well as pH-neutral; ensuring that your wrapped goods do not only look good but are protected from colour bleed that occurs with many inferior brands. 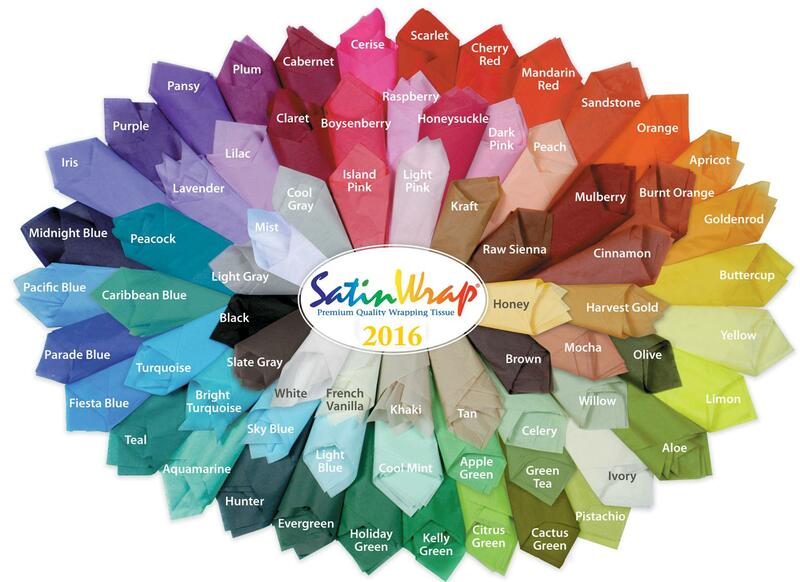 SatinWrap® The quality choice, the environmentally friendly choice!